Currently Director of the Asian Law Centre and its Comparative Legal Studies Program, Professor Nicholson is one of the world’s leading scholars on the Vietnamese legal system. 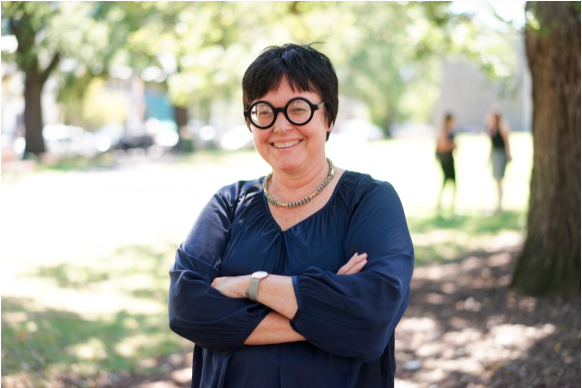 University of Melbourne Provost Margaret Sheil said that Professor Nicholson will bring a University-wide perspective to the role. “She has a deep understanding of the Melbourne Law School and the challenges and opportunities for the legal profession locally and internationally,” Professor Sheil said. “Professor Nicholson assumes the role as Dean of Australia’s leading Law school at an exciting time as it moves into the next phase of its development. Professor Nicholson has been the Law School’s Associate Dean (International) and the Associate Dean for the Juris Doctor (JD), roles that have combined her international expertise with an enduring interest in teaching quality and innovation. She also serves concurrently as Deputy President of the Academic Board and as a member of the University Appointments and Promotions Committee, amongst other Board committees. Professor Nicholson is a University of Melbourne graduate with a Bachelor of Arts/Bachelor of Laws and a PhD from the School. She also holds a Master of Public Policy from Australia National University and has worked in statutory organisations and the private sector before returning to Melbourne. In addition to extensive consulting experience, Professor Nicholson is an author of two books and more than 70 other publications. She has been recognised by the award of the Medal for the Cause of Justice from the Ministry of Justice in Vietnam for her contribution to Vietnamese legal education and reform.